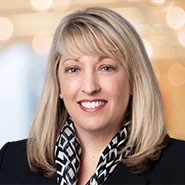 Employment partner Wendy Lane was quoted in a February 23, 2018, Daily Journal article about a new discrimination lawsuit filed in San Francisco against Google by former engineer Tim Chavalier. Chavalier claims he was fired by the company for posts he made on Google’s internal message board criticizing former engineer James Damore. Damore was fired in August for posting a memo to the internal message board arguing that women may not be equally represented in tech because they are biologically less capable of engineering. Damore also sued Google for discrimination. The National Labor Relations board ruled that Google did violate any labor laws by firing Damore over his posts to the internal message board saying that in doing so Damore had created a hostile work environment. Lane added that since boards are designed for use on company time, it creates another level of liability because heated discussions can escalate quickly. “They’re saying, ‘name-calling of sorts to make your point is not something that we allow here. You, stop calling all women biologically unsuited, and you, stop calling that man a white boy,’” she said.